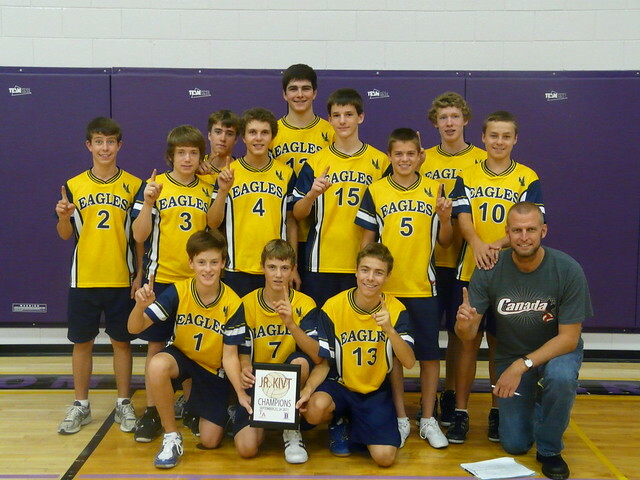 The Junior Boys Volleyball team has won the Junior Kenora Invitational Tournament with a 25-16, 25-13 win over Fort Frances in the final. Game 1 vs Beaver Brae resulted in a win with set scores of 25-11, 25-10. Game 2 set 1 loss 20-25, set 2 win 25-12. Game 3 vs TA. Set 1, won 25-12, set 2, lost 25-16. Game 5 split with fort frances 1, 21-25, 25-21.